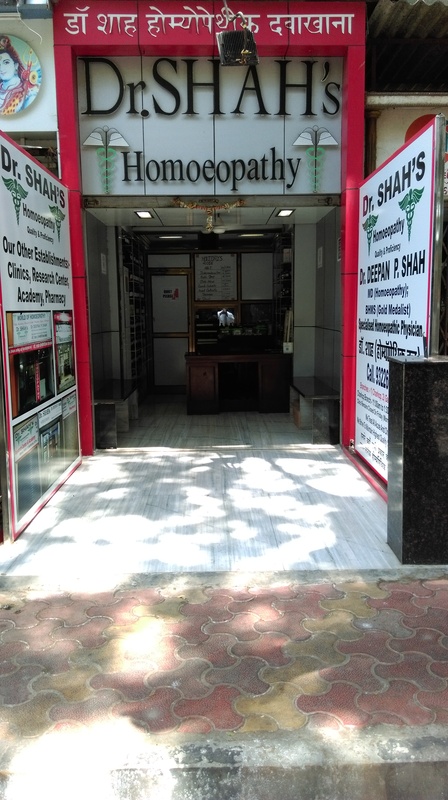 Dr SHAH’s HOMOEOPATHY is Chain of Homeopathic Clinics, Research and Education Centers in Mumbai, Managed by Dr Deepan P Shah -MD (Homeopathy) with an aim to impart High Quality Homoeopathic Treatment and Education. We also have strong presence on internet with a motive to. Make our Homeopathic Clinic more acessible through Video calling and other modes of online consultations thus reaching to larger number of people world wide, so that everyone has acess to best homoeopathic treatment, to which we have got a considerable success by getting patients treated from 26 countries. Educate patients about their disease its management and provide patients with easily acessible diet charts and regimes online. Provide latest update in the feild of healthcare, homoeopathy and allied subjects to everyone through our web-articles. Teaching Students and Doctors by providing them online educational materials and teaching them online about essence of homeopathic practice. Dr DEEPAN P SHAH receiving Gold Medal and Certificate For Meritorious Performance In Academics From Mr DARA SINGH (World Renowned Olympic Gold Medalist Heavy Weight Wrestler and Bollywood Actor). 103, Shwetambara CHS, Plot No RSC11/107, Sect 1, Charkop, Kandivali (west), Mumbai, Maharashtra, India. Shop No 103,1st Floor, RNA Shopping Arcade, RNA Regency Park Tower CHS, RNA Millinium Township, MG Road, Kandivali (WEST), MUMBAI, Maharashtra, India. Shop No 7, Pooja Enclave CHS, Old Link Road, Ganesh Nagar, Kandivali(west), Mumbai, Maharashtra, India. I have plaque psoriasis it’s on knuckles, elbow,and knees and little on scalp ,I have it for almost 11 years, right now I’m on stelera getting one shot every 3 months ,not seeing good results, I would like to get some consulting from you guys.